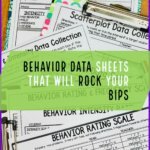 Returning to my series on managing challenging behavior, I wanted to take a moment to talk about positive reinforcement of appropriate behavior and why creating systems for giving it might be helpful and is important. Positive reinforcement is both an antecedent strategy /preventive strategy as well as a teaching tool for replacement skills. 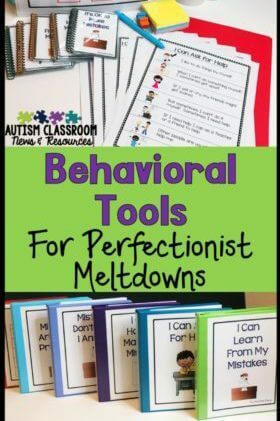 We try to keep it from being a response to negative behavior since reinforcement would increase that undesired behavior. If we use positive reinforcement systems consistently for appropriate behaviors, we reduce the likelihood that challenging behaviors will be exhibited and we use reinforcement systems to teach new skills to replace challenging behavior like raising their hand to gain attention (positive reinforcement) and asking for a break (negative reinforcement–we took something away and the asking for a break increased). For general classroom management we want to reinforce appropriate behavior across the classroom about 5 times for every redirection or correction that we make (Flora, 2000). We also have a good research literature that tells us that classrooms typically do not reach that ratio and that increasing praise can improve students’ behavior (Flora, 2000). Teachers don’t have just one job. Have you ever met a teacher who felt he/she just had to do well in one thing? I haven’t. Just thinking of everything that a teacher needs to do throughout the day is exhausting. But I don’t need to tell YOU that (unless you aren’t a teacher). However, that doesn’t mean that it doesn’t mean to be said. Trying to keep track of everything that is happening in a successful classroom and keep all the students engaged is a monumental task. When I am running a classroom, I find it easiest when I automate as many of the tasks as I possibly can. The more I can do that, the less time I have to spend remembering, and the more engaged I can be with the students—which is always my ultimate goal (you know, prevents challenging behavior, increases skills effectively….for those reasons). So, how can we use positive reinforcement in a way that makes OUR lives easier? Trying to remember to reinforce a student regularly for something like sitting in his chair, which we kind of expect all of our students to do, is not always high on our list when we are also trying to figure out whether we are addressing an IEP goal, what Sally’s performance was to record the data, the kind of prompt we just gave Dante, why Emile is out of his seat and where is Megan? Oh right she’s in the bathroom. And that’s just a 1 minute analysis of what is going through your brain while teaching. So to make sure that we can get our reinforcement in, create a system. Here are some systems that might be helpful. If you are reinforcing appropriate behavior over a period of time for a specific time, you can pair the reinforcer system with a timer. There are a number of timers that vibrate so they don’t disturb the class, like the MotivAider and Invisible Clock II – Vibrating Reminder both of which I have used for a variety of purposes successfully. Set the timer for a set period of time based on how long the student can behave appropriately. Start by determining how long a student goes before engaging in a negative behavior. Then set the timer for slightly less than that time. For instance, if you are teaching a student to sit in a chair, time how long her sits independently without problems. If he can sit for 1 minute successfully but at 1:05 minutes he starts to fall out of his chair, start by setting the timer for 1 minute. That way he starts successful and once he is sitting regularly for that time, set it for 1:05 and gradually increase it. He gets reinforced if he sits appropriately in his chair for the specified period of time. 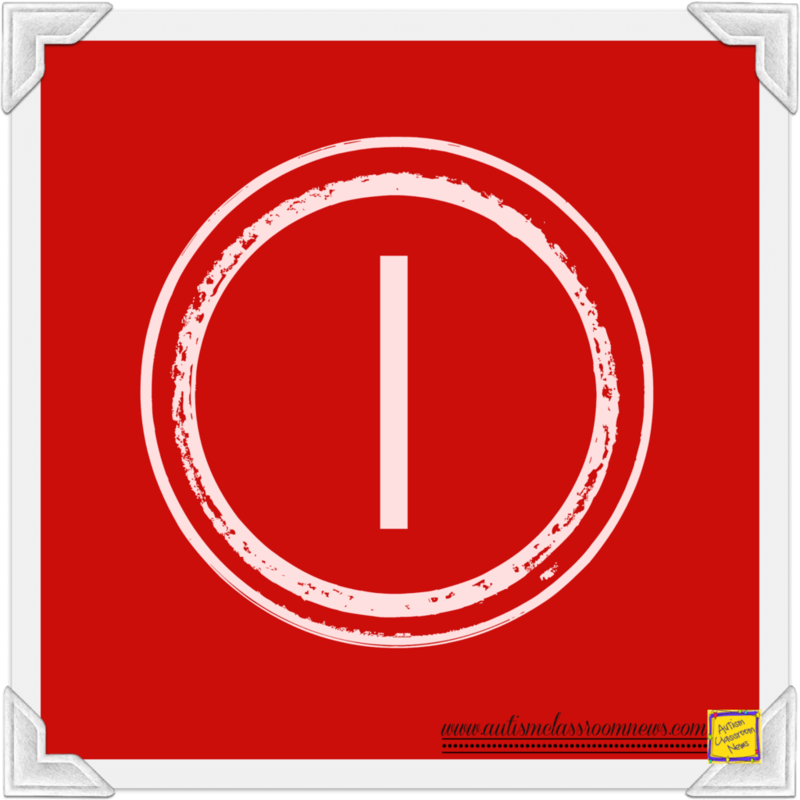 If he doesn’t you can wait until the next interval is over to reinforce if he is appropriate or you can reset the timer as soon as he is not appropriate. Over time you can also start varying the time on the timer so that you are reinforcing for different periods of time to make it less predictable (which then makes reinforcement easier to fade over time). 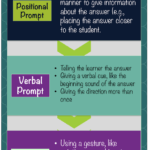 Another way, if you are using reinforcement for a group of students proactively, is to use the timer to remind you praise or reinforce one of them. 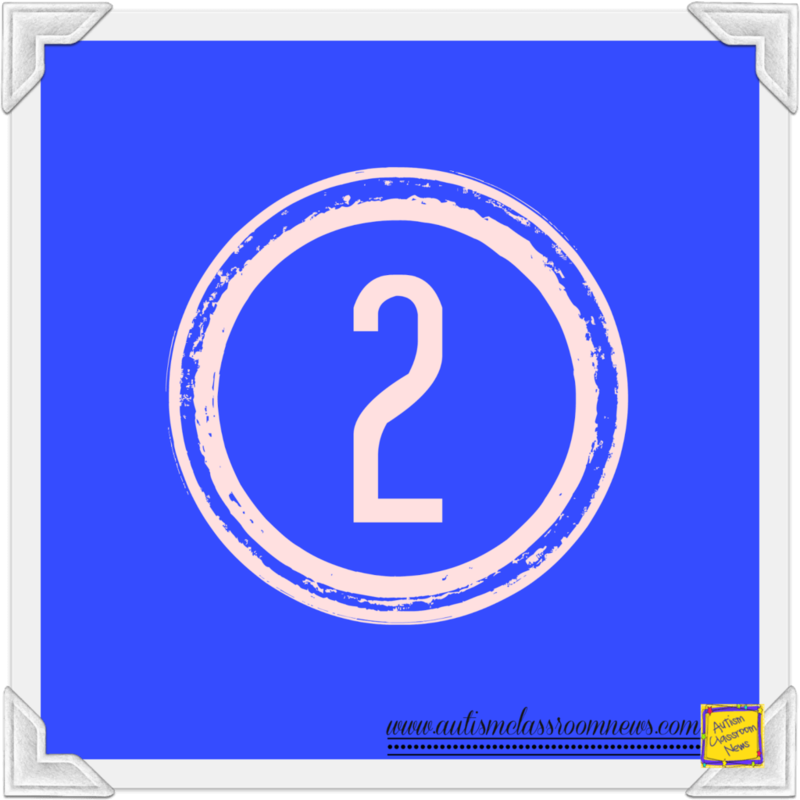 Set the timer for every 2 or 3 minutes–or 4 or 5 depending on the skills of the students. Every time it vibrates, pick a student who is engaging in appropriate behavior and praise him/her or reinforce some other way (pat on the back, note on his/her desk, a token, an edible). Doesn’t take much time, doesn’t have to intrude on instruction and keeps you reinforcing appropriate behavior. BaBam! Token systems are another good way to automate reinforcement as well–in part because the students will remind you if you forget. Token systems and point systems can be structured in several different ways. 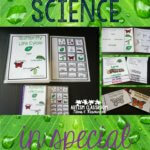 If you are using them for increasing appropriate behavior, you can set them up on a timer or reinforce at the end of activities on your schedule. 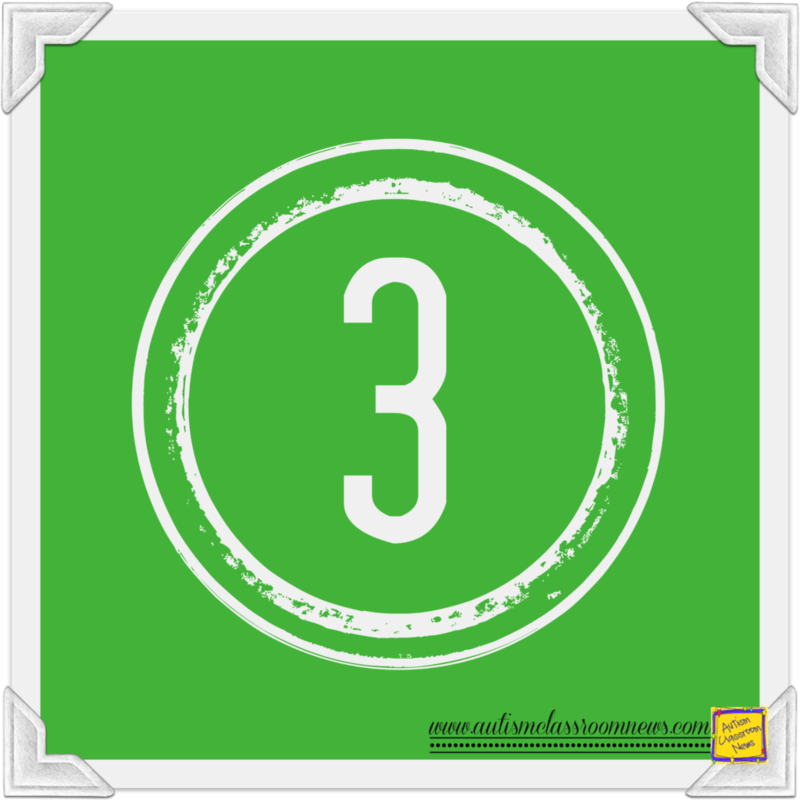 At the end of each activity (or the start of the next activity so you can include the transition), review the rules and give each student who followed the established targeted rules (all or select ones) a token. 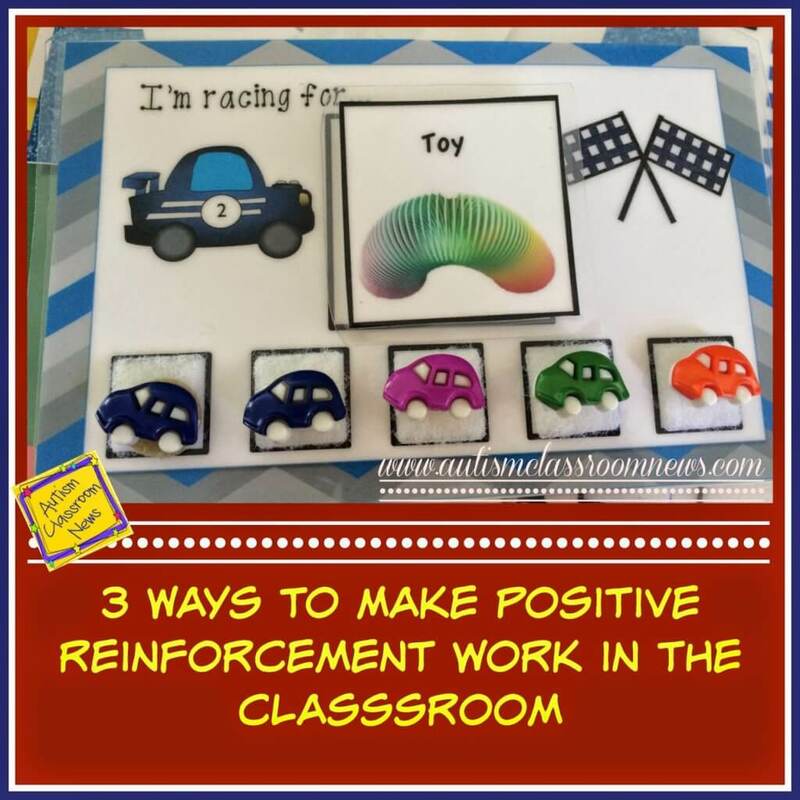 How do you use reinforcement in your classroom? This may seem like unexpected feedback. I love the content you share, but the layout of your website is extremely visually distracting in a way that makes it very difficult for me to engage your articles. I click through from Facebook excited to read more but the viewing experience is so cluttered that I find it difficult to focus on the article content. I come to your page as a learner just like student's come to classrooms, but instead of finding visual clarity that aids my comprehension this layout leaves me feeling like I have ADHD! It's disappointing because you're clearly an excellent and insightful teacher with so much to share. I end up feeling hesitant to share the articles with co-workers because I suspect they would run into the same issues. After the first view I find that I give up on reading them pretty much right away. I'd like to be more constructive then this is likely coming across. I know very little about website design, but I do know that as the graphic design principles of the internet have evolved there has been a lot of focus on layout and where the eye is drawn to. One suggestion is to only have one side column. I know you have a lot of products to plug but I feel like that's all I see popping out to me visually. I also find the font you've chosen requires noticeably more effort to read. I'm sure it feels like a unique style but it feels like a barrier to understanding. I appreciate your feedback and am sorry that you are struggling with the content. You might want to try to read it through something like the bloglovin.com that removes the background graphics or you can sign up to have the content emailed to you which also removes the other graphics. The mobile site does the same if you view it on a phone or tablet. 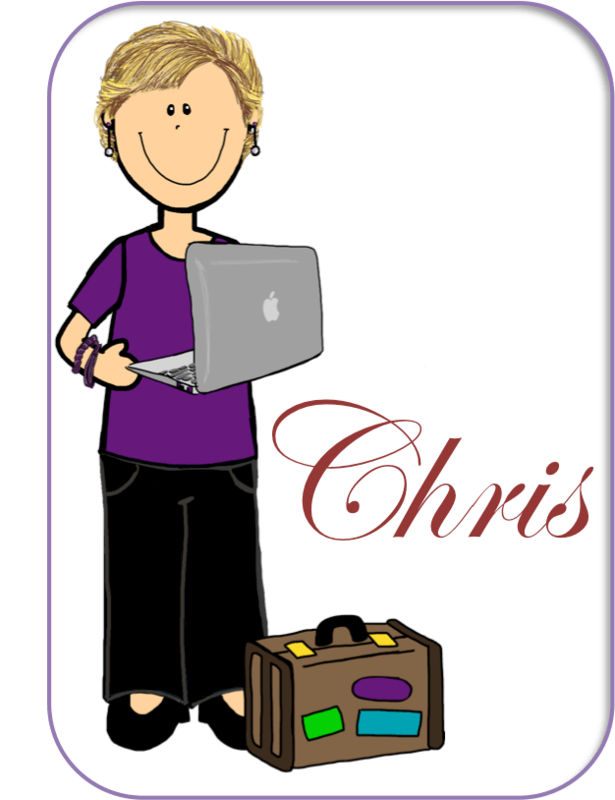 I will take your feedback into consideration in the future when the blog is redesigned.